A web site dedicated to poorly built, improperly maintained, disturbing, structurally deficient, functionally obsolete or otherwise frightening bridges all across the world. Status (Oct 2018): I was unable to update this site while in grad school. Now that I have finished, I am working on a few new posts. There are many web pages to dedicated to cataloging all sorts of large, innovative, picturesque, or otherwise unique bridges. 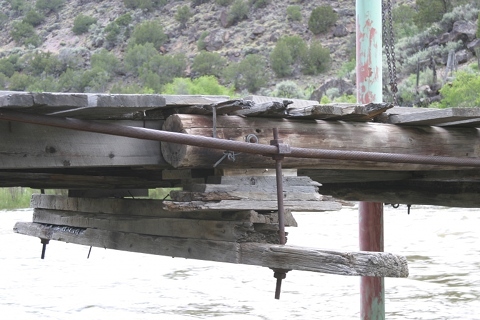 However, is is not so common to find pages dedicated to defective, deficient, ill-conceived, poorly maintained, or otherwise terrifying bridges - at least not unless they fail in a spectacular fashion. The most common results for a scary bridge search are for an article done as part of a much larger site. Also, some of those bridges are perfectly safe, fully functional, and often examples of exemplary engineering, construction, and maintenance. They are, at worst, worthy of an honorable mention on this site. 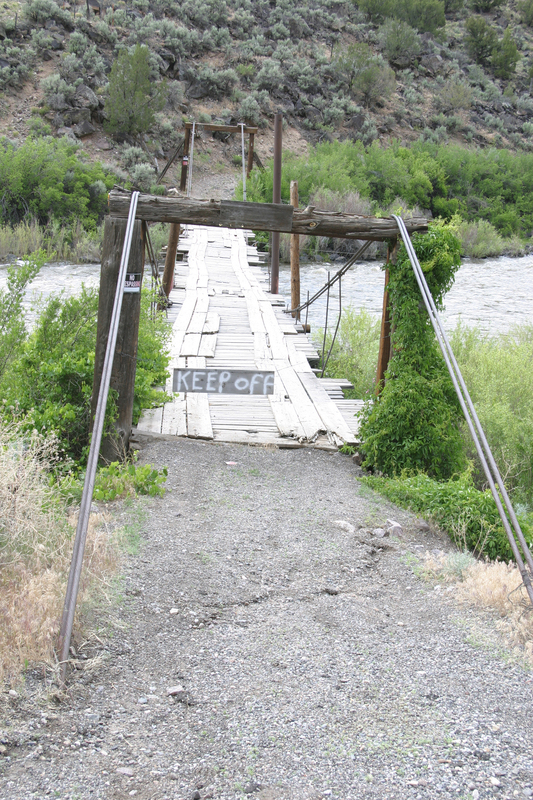 The entry of a bridge in this page is not intended as a sign of disrespect to its creators. No reason was found to believe that the bridge across Salto Del Soldado is unsafe, so long as use remains within its design criteria. But its overall nature makes it scary enough for an entry here; taking a walk across it could well get you killed. And the Conchi Viaduct is a remarkable feat of engineering and construction no matter how poorly maintained it is today. Please remember that some bridges posted here were made with very limited resources, and are sometimes very old. Some were built in using horses, steam engines, or maybe just human labor. The fact that they still stand today speaks well of their creators. In some cases they were very short on resources: no professional engineers, very limited money, mostly (or all) salvaged material, and no heavy equipment. Nonetheless, they solved the problem with the resources they had. While the result can be rather scary, the author probably could not have done better given the constraints. With a few exceptions, all of the photos on this page were taken by the author. One exception is the Treefort Bridge, of which the author built, and a photograph in which he appears. Another is a historic photograph. The current plan is for other photos to be used only rarley, as the situation (and copyright) warrent. Crossing the bridge is dangerous for reasons unrelated to the bridge itself. Bridges with problems that are too minor to merit the list. Bridges that are especially interesting are more likely to be included. It started with a discussion of the old Otowi Suspension Bridge in New Mexico. One engineer was discussing how few suspension bridges there are in New Mexico. The author pointed out one missing from the list, located on the Rio Grand south of Taos. Pictures of the bridge in question were later provided (see above). The bridge does indeed exist, though many engineers would consider it to be in need of a little maintenance, if not outright structurally deficient. Since that time, the author has continued locating and photographing scary bridges.